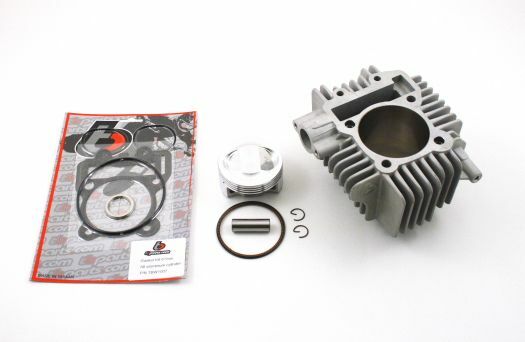 – Ceramic coated all aluminum cylinder (no steel sleeve) – Lightweight high compression domed 67mm piston with rings, pin, & clips – Head gasket kit – Now includes the cylinder head o-ring set and an exhaust gasket. This big bore kit is recommended for use only with our V2 Race Head. For all other applications, please check clearances.